We talk about forbidden posting when an employer provides its employees to a user who has any part of the authority over these workers that normally accrue to the employer. It is therefore essential that the receiving company (the Belgian client) must not behave as an employer in respect to the employees of the foreign service provider. 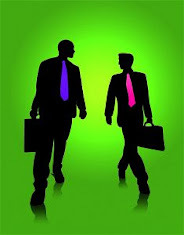 instructions provided by the user in performance of the contract that connects him with the employer, both in terms of working and rest periods as in respect of the implementation of the agreed work. As a result of this, it is extremely important to have a contractual agreement in which the work to be carried out is described accurately. An additional security can be built in by pointing out 1 representative of the service provider to which the contact person of the client can give any instructions in relation to the performance of the contract. It is this representative – that so is employed by or associated with the service provider – that effectively gives further instructions to the staff of the service provider. Hence it is appropriate to this arrangement also expressly contractually negotiable and included in the contractor agreement. It is this representative – that is employed by or associated with the service provider – that effectively gives further instructions to the staff of the service provider. Hence it is also appropriate to expressly and contractually negotiate this arrangement and include it in the contractor agreement. the user and the posted workers are considered to be connected by an employment contract of indefinite duration. Note: when there is a prohibited posting, the Belgian client and the employees of the external service provider deemed to be connected by an employment contract, while no work permit nor labour card was requested. Therefore, the inspection services investigate in an active way if there is any prohibited posting, because they then can prove that there also are offences on the law of 30 April 1999 stating that the application for a work permit – card is required for subjects of the 10 new EU Member States (this law contains very strict criminal penalties). The user is, together with the service provider, jointly and severally liable for the payment of social security contributions, wages and allowances arising from the employment contract. -If the hearing Labour officer does not move to prosecution, an administrative fine of 50 up to 1,250 EUR can be imposed, multiplying by the number of employees in violation with a maximum of EUR 20,000. The inspection services are very suspicious when it’s about working with subcontractors from the new EU Member States. It’s very difficult for them to discuss the validity of an A1 form, while on the other hand, it is known that such forms are awarded rather ' smooth ' by the authorities of certain new Member States. Hence, the inspection services, even if the posting is valid and there is no attempt to show that posting is prohibited, will try to show that the mounted structure is intended to get round with the regulations of the law of 30 April 1999 (on work permits and licenses). This law of 30 April 1999 contains a regulation that sanctions the collaboration in the case of bypassing the law. So it is not because the Belgian client could not be seen as an employer of foreign workers, that there is no penalty possibility on the basis of the law of 30 April 1999. The aforementioned regulation on participation in bypassing the law was till now rarely or never applied. We, however, understand from the inspection services, that they intend to use this regulation to avoid bypass constructions. Another regulation that is used by inspection services to avoid constructions with foreign sub-contractors, is ended since the law of 10 August 2005. Until this law the abuse of the weak position of foreign nationals in itself was punishable. However, the law of 10 August 2005 concretized this abuse on the basis of human trafficking and slumlords. 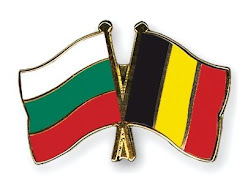 Although these charges are subject to terms and conditions and on first sight not seem to be apply, the Belgian client possibly still can be prosecuted as the accomplice (an accomplice is someone who necessarily provides help to a crime), when the Bulgarian contractor would commit these crimes in respect of its employees. In our view, these sanctions will certainly may apply, when it appears that the Belgian client (with it) is responsible for the housing of the concerned foreign workers. Therefore it’s most important that only the foreign employer is responsible for the housing of its staff in Belgium (e.g. by taking out a rental contract) and that the workers certainly not will be housed in buildings of the Belgian client (or of its connected companies or persons). The European Court of Justice has held that the withholding obligation for the tax authorities was in conflict with the European legislation and hinders the free movement. In the meantime, the tax authorities stated that the tax deduction for EU contractors no longer has to be done. In addition, when working with a contractor or subcontractor the joint and several liability with regard to the payment of social security debts of the contractor or subcontractor was valid. There was also a joint and several liability for the payment of the tax debt of the contractor or subcontractor. Following the aforementioned judgment of the Court of Justice the Government had a law ready to radically change the system of contractors, both on tax and social security level. This draft of law was incorporated into the design of program law that was submitted on 4 April 2007 by the Government in the House of representatives and finally incorporated in the program law of 27 April 2007, Belgian Official Gazette 8 May 2007. The purpose of the new regulation is that the withholding obligation and joint and several liability no longer automatically apply, as soon as one has referred to a contractor. Via an electronic database one can then determine whether such debts exist. This new system came into effect on 1 January 2008. The database for social security debts was ready on 1 January 2008 and is now operational. The concrete modalities of the withholding obligation are governed by the Royal Decree of 27 December 2007, Belgian Official Gazette of 31 december 2007, Fourth Edition. Finally, we bring you the notification obligation in memory for contractors and subcontractors (article 30 bis § 7 of the SOCIAL SECURITY Act). Before starting the job, the contractor, on which the client referred to, should give to the civil service, according to the modalities fixed by the King, all the right information necessary to estimate the nature and importance of the work and to identify the client and, where appropriate, and at every stage, also the subcontractors. If, during the execution of the work other subcontractors intervene, this contractor must inform in advance the national social security office. To that end, each subcontractor which in turn appeals to another subcontractor, must inform the contractor in advance by written notice and must give to him all the right information, as determined by the King, necessary to the national social security office. The contractor shall inform the aforementioned national service about the start and end dates of the works and about the starting and ending dates of the work carried out by subcontractors. The King determines what has to be understood by ending dates of the works and by beginning and ending dates of the work performed by the subcontractor. In the same manner, when the aforementioned intervention of a subcontractor reported to the civil service is cancelled, the contractor will report this to the civil service within fifteen days after the initial scheduled start date. When there is no mention, one risks a penalty of 5% of the amount of the work, exclusive of VAT. The obligation to notify does not apply to the contractors who do not appeal to a subcontractor, for the works that are entrusted to them, for which the total amount payable, net of VAT, is less than EUR 25,000.